Password scams AKA: Phishing, are becoming a huge problem in the <?xml:namespace prefix = st1 ns = "urn:schemas-microsoft-com:office:smarttags" />US. Many elderly people fall for these seemingly innocent emails that simply want to assist bank clients tighten there own security measures. As you will see below, some are pretty convincing, while others are not. We all get emails such as these almost daily, and on occasion they do appear to be from a bank we do business with. 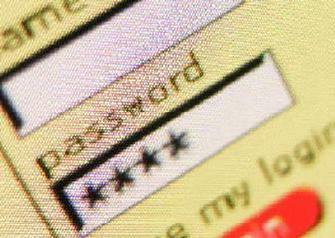 Never, under any circumstance, respond to any inquiry regarding your personal info or passwords. If you are coincidentally having log-in issues at the time you receive one of these emails, I assure you, it�s just that, a coincidence. If you have banking issues, pick up the phone, or go to your bank. If your banks call you, do not give them your information, trust me, they already have it. We have reason to believe that your account was accessed by a third party. Because protecting the security of your account is our primary concern, we have limited access to sensitive Bank Of America account features. We understand that this may be an inconvenience but please understand that this temporary limitation is for your protection. Case ID Number:253-029-076. In accordance with Bank Of America's User Agreement, your account access will remain limited until the issue has been resolved. Unfortunately, if access to your account remains limited for an extended period of time, it may result in further limitations or eventual account closure. We encourage you to log in to your Bank Of America account as soon as possible to help avoid this.. Note: This is a service message with information related to your account(s). Personal Accounts - At Chase you can log on using your existing User ID and Password and learn more about our products and services. Small Business Accounts - Manage your business - Financial solutions for companies and not-for-profits with annual revenue up to $10 million. Commercial Accounts - Financial services for organizations with annual revenues ranging from $10 million to $2 billion. Account owner that refuse to update his/her account after 48 hours of receiving this warning will lose his or her account permanently. 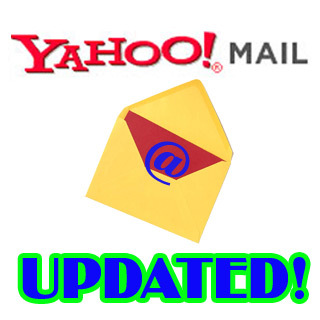 Due to the congestion in all Yahoo users and removal of all unused Yahoo Accounts, Yahoo would be shutting down all unused Accounts, You will have to confirm your E-mail by filling out your Login Information below after clicking the reply button, or your account will be suspended within 48 hours for security reasons. After following the instructions in the sheet, your account will not be interrupted and will continue as normal. Thanks for your attention to this request. We apologize for any inconveniences. Warning!!! Account owner that refuses to update his/her account after two days of receiving this warning stands the risk of lossing his or her account permanently. we have detected a slight error regarding your American Express Account. 4. Multiple failed logins in your personal account. to an internal error within our system. *If you account information is not updated within 48 hours then your ability to access your account will be restricted. American Express , Billing Department. E-mail intended for your account. Note: If you are concerned about clicking links in this e-mail, the American Express mentioned above can be accessed by typing https://www.americanexpress.com directly into your browser. This service message was delivered to you as a American Express customer to provide you with account updates and information about your card benefits. We are sorry to inform you that due to the number of incorrect login attempts, your account has been locked for your security.Unlock your account by clicking on the link below. Subject: Urgent: Restricted online access. We are sorry to inform you that due to the number of incorrect login attempts, your Wellsfargo Account has been locked for your security. This has been done to secure your accounts and to protect your confidential information in case the login attempts were not done by you. At Wellsfargo Bank we care about your security so, for your protection we are proactively notifying you of this activity. You can click on the link below and unlock your wellsfargo account now. Thank you for using Wellsfargo! Subject: Your Abbey Online Profile has been blocked. Your Abbey Online Profile has been blocked. identity by verifying your details. Your security is our priority . . .
Abbey National plc. Registered Office: Abbey National House, 2 Triton Square, Regent's Place, London, NW1 3AN, United Kingdom. Registered Number 2294747. Registered in England. Telephone 0870 607 6000. Calls may be recorded or monitored. Calls may be recorded or monitored. Authorised and regulated by the Financial Services Authority. FSA registration number 106054. For more information visit www.fsa.gov.uk/register. Abbey and the flame logo are registered trademarks. We have issued the following warning message. with the online service. However,failure to confirm your records may result in your account suspension. To confirm your bank account records please the button. (c) 2008 Wellsfargo Bank . we have detected a slight error in your account information. Please update and verify your information by clicking the link below. that your service must always be under your control or those you designate all times. If you recently accessed your service while traveling, the unusual log in attempts may have been initiated by you. However, if you did not initiate the logins, please visit The Farmers Bank homepage as soon as possible to restore your account status. This is your official notification from Watermark Credit Union that the service(s) listed below will be suspended and deleted if not renewed immediately. Previous notifications have been sent to the Billing Contact assigned to this account. As the Primary Contact, you must renew the service(s) listed below or it will be suspended and deleted. Renew Now your account at Watermark Credit Union immediately. Thank you for using Watermark Credit Union Home Banking service. We appreciate your business and the opportunity to serve you. Please do not reply to this message. For any inquiries, contact Member Service. Copyright � 2008 Watermark Credit Union. All rights reserved. 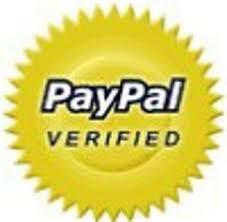 PayPal temporarily suspended your account. Subject: Your account has been temporarily limited ! Your account has been temporarily limited ! We are hereby notifying you that, after a recent review of your account activity, it has been determined that you are in violation of HSBC Bank plc's Acceptable Use Policy. run into any future problems with the online service. 3. Once you have completed these steps, we will send you an email notifying that your account is available again. 4. Please allow (3) three business days for processing. Note: Please do not reply to this email. This mailbox is not monitored and you will not receive a response. You have one new message at City of Boston Credit Union. City of Boston Credit Union and access your MAIL section. Copyright � 2006, City Of Boston Credit Union. All rights reserved. We recently have determined that different computers have logged into your account,and multiple password failures were present before the login. Therefore your account has been temporary suspended. Unlock your profile , CLICK HERE and let's begin. Subject: You have been selected! You have been selected to access the JPMorgan Chase & Co. 2 Steps Survey and win a $50 credit to your account. Please click here and complete the form to receive your reward.